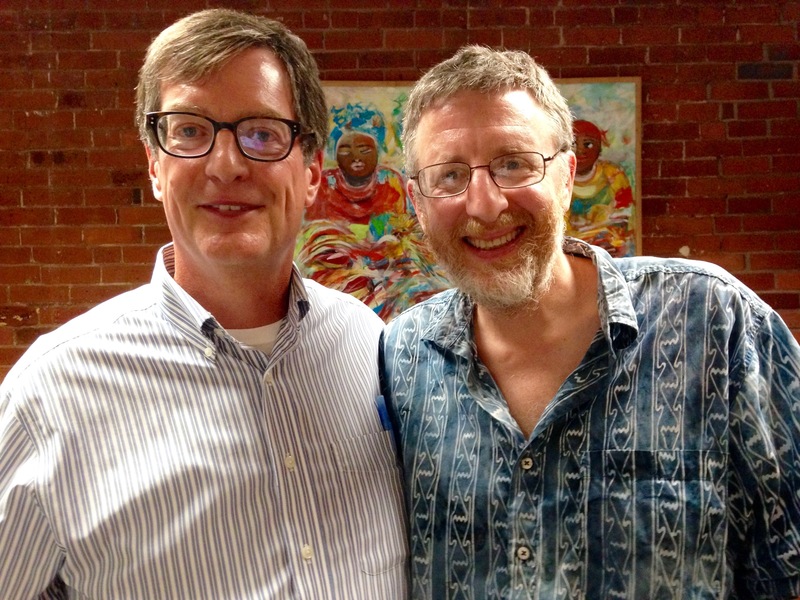 Last Wednesday I had a chance to catch up with Paul Bass, founder and editor of the New Haven Independent and the principal subject of my last book, “The Wired City.” Paul and I talked about my new book, “The Return of the Moguls,” at the Book Trader Café in downtown New Haven. It was a lot of fun — and, as you’ll see from the Facebook Live video (just click on the image), Paul asked some tough questions. A professor said that Boston’s media landscape may suffer from the lack of a prominent local radio station that’s black-owned. Boston used to have a station owned by black community members, WILD, but under new corporate ownership it stopped focusing on African-American issues a number of years ago. Black-owned media, such as the Bay State Banner newspaper, have had trouble generating significant advertising support, she said, and “a thriving black media would go a long way towards making the black community feel as if its story is being told. Now, if I were reading Halper’s comments and wanted to follow up, the first person I’d talk with is Paul Bass, the founder and editor of the New Haven Independent, a nonprofit online-only news operation that is still thriving after 12 years. 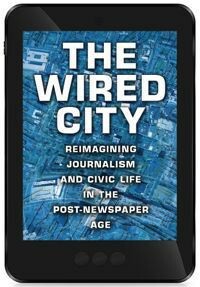 When I was writing about the Independent for my book “The Wired City,” the Independent had a mostly white reporting staff to cover a city with a large African-American community. They did a good job, but it wasn’t ideal. The Independent’s staff is more diverse today. Even more important, though, is that in 2015 Bass launched a nonprofit low-power FM radio station, WNHH, which also broadcasts online. Rather than writing stories for New Haven’s communities of color, members of those communities have come inside to host programs and tell their own stories. It has proved to be a real boon to New Haven. And though it would be hard to replicate something like that in a city as large as Boston, there surely must be ways to adapt what Bass is doing. More: Of course Touch 106.1 FM is already providing a valuable service in Boston — but without an FCC license. The city needs a community radio station that can operate legally and can thus enjoy a higher profile and more influence. Also popping up in the Facebook comments: Zumix, a youth-oriented bilingual LPFM and online station in East Boston. This 1910 photo of an 8-year-old Philadelphia newsboy, Michael Mc Nelis, was taken by Lewis Hine for the Children’s Bureau of the US Department of Commerce and Labor. 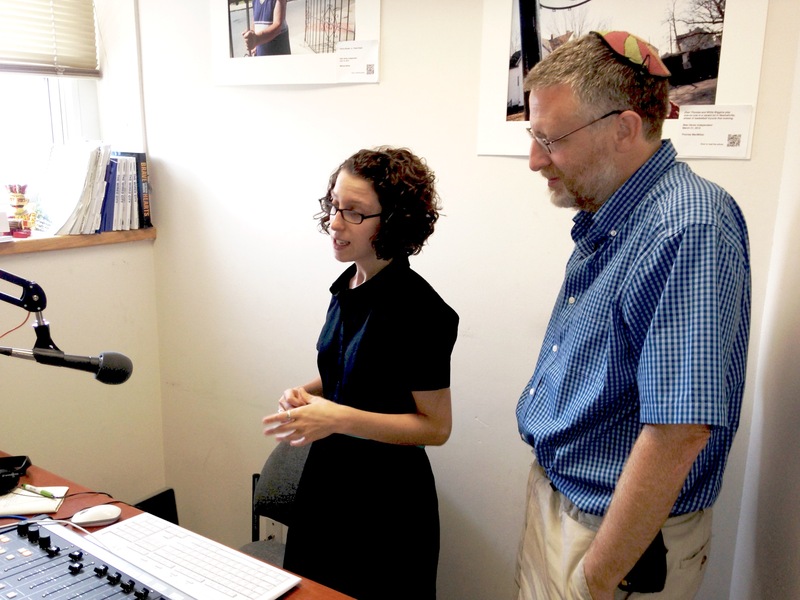 A few years ago Paul Bass and I appeared on a Connecticut radio station to talk about the future of local journalism. Bass was and is the founder, editor, and publisher of the New Haven Independent, a nonprofit, online-only news organization that is the main subject of my book The Wired City. Bass and I both came out of the world of alternative weeklies. He was the star reporter for the New Haven Advocate. I was the media columnist for the Boston Phoenix. While we were on the air, he told a story about a club owner in New Haven who had once advertised heavily in the Advocate—but had found he could reach a better-targeted audience on Facebook while spending next to nothing. Need I tell you that both the Advocate and the Phoenix have gone out of business? I’m dredging up this anecdote because the Columbia Journalism Review has published a much-talked-about essay arguing that newspapers made a huge mistake by embracing all things digital and should instead have doubled down on print. Michael Rosenwald writes that instead of chasing ephemeral digital revenues, newspapers should have built up their print editions and offered more value to their readers. 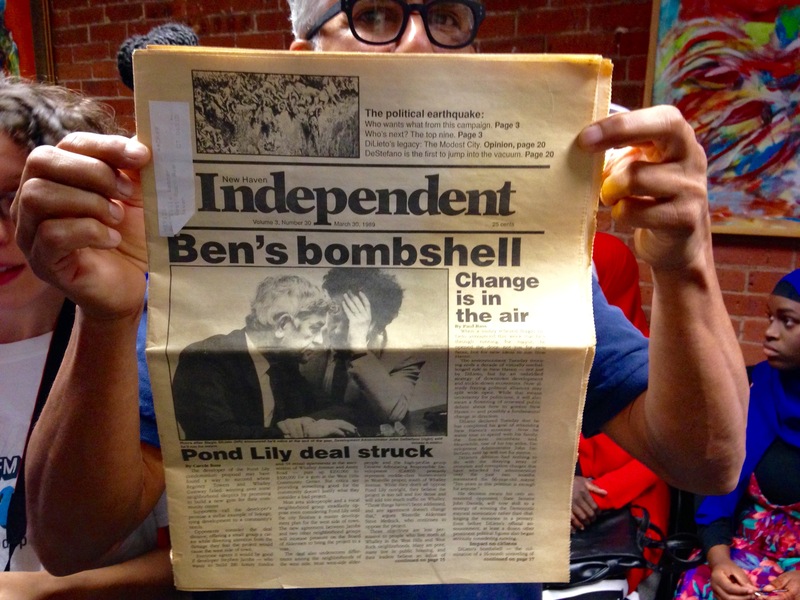 Arts writer David Sepulveda with a vintage copy of the first incarnation of the New Haven Independent, which was co-founded by Paul Bass and was published for several years in the late 1980s. Congratulations to Paul Bass and the staff and friends of the New Haven Independent, who are celebrating the community website’s 10th anniversary. The party was emceed by Norma Rodriguez-Reyes, the president of La Voz and chair of the Online Journalism Project, the nonprofit organization that oversees the Independent and its affiliated projects — WNHH, the Valley Independent Sentinel and the Branford Eagle. Last week Bass marked the 10th anniversary with a special hour-long conversation on WNHH about the state of independent journalism with Rodriguez-Reyes; Christine Stuart, the editor and co-owner of CT News Junkie, a for-profit website covering politics and public policy in Connecticut; and Babz Rawls-Ivy, managing editor of The Inner-City News, an African-American newspaper based in New Haven, as well as a talk-show host on WNHH. Among other things, Bass compares legacy media’s coverage of the decline of journalism to someone who spends all his time hanging out at a funeral home and concludes that everyone must be dead. Well worth a listen. 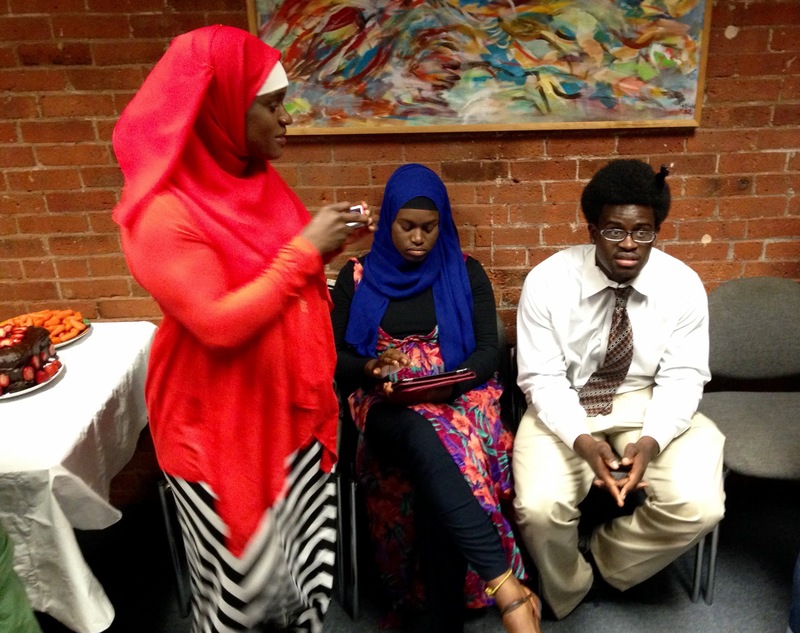 Mubarakah Ibrahim (left), host of “Mornings with Mubarakah” on WNHH, with her children. Paul Bass (right) and me. Photo by Independent alumnus and current Wall Street Journal reporter Thomas MacMillan.